What does Morten mean, details, origin, short & easy attributes? Morten pronunciation in 20 different native languages. Origin of the name Martin: From the Latin Martinus (of Mars, war-like), a derivative of Mars, the name of the Roman mythological god of war. The name was borne by St. Martin of Tours (c. 315 â€“ 397). Morten is baby boy name mainly popular in Christian religion and its main origin is . Morten name meanings is Of Mars, war-like. Other similar sounding names can be Martin, Morton. You probably have google this question: My baby name is Morten and how can I combine the name Morten with other names and create unique & new name? We tried to suggest Morten name combinations. You can see how it looks the name Morten as first name or Morten as last name. You can combine the middle name for Morten and create a unique name. Popular personalities with Morten Name. Morten Harket is a synthpop, pop rock, and alternative rock musician. He was most active from 1982 to present. 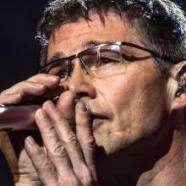 Morten was born Morten Harket on September 14th, 1959 in Kongsberg, Norway. Morten Tyldum is a director. Morten was born on May 19th, 1967 in Norway. 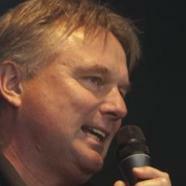 Morten Andersen is an american football player for the New Orleans Saints, Atlanta Falcons, New York Giants, Kansas City Chiefs, and Minnesota Vikings. He was most active from 1982 to 2007. Morten was born on August 19th, 1960 in Copenhagen. 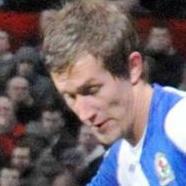 Morten Gamst Pedersen is a soccer player for the Tromso IL, IL Norild, Blackburn Rovers F.C., Kardemir Karabukspor, Rosenborg BK, Norway national under-21 football team, and Norway national football team. Morten was born on September 8th, 1981 in Vadso, Norway. Morten Lauridsen is a composer and conducting. His most notable accomplishments were from 1967 to present. Morten was given the name Morten Johannes Lauridsen on February 27th, 1943 in Colfax, Washington. 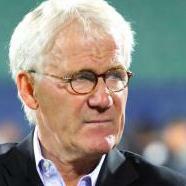 Morten Olsen is a soccer player for the Nykobing FC, Cercle Brugge K.S.V., R. White Daring Molenbeek, R.S.C. Anderlecht, FC Koln, Denmark national under-21 football team, and Denmark national football team. Morten was born on August 14th, 1949 in Vordingborg. Alexander Morten was a soccer player for the N.N. Club, Wanderers F.C., Crystal Palace F.C. (1861), and England national football team. Alexander was born on November 15th, 1831 in London, England. He passed away on February 24th, 1900. Pier was born on February 15th, 1959. Shelley was born on November 24th, 1959 in Halifax, Nova Scotia. Eddie was born on August 29th, 1962.